atlanta supercross - facts n' figures. Get involved in supercross - Atlanta GA style! The atlanta supercross Georgia Dome stadium gives a warm welcome to all dirt bike fans. The supercross riders give out spectacular jumps and stunts but be quick if your taking some photos. The Georgia Dome is the home of the Atlanta Supercross events. It's worth going just to see the arena. It's the world's largest stadium of its kind, cable supported and the construction of the Dome used 8,300 tons of steel, far more than the total weight of steel and iron the French used to make the Eiffel Tower. Another example of vastness of the dome is the amount of concrete used. If you were to build a sidewalk from the concrete, you could make it from Cincinnati all the way back to Atlanta. There are seven levels to the 8.9-acre stadium and 1.6 million square feet. Its height compares to a 27-story building. Of course, you won't be going just to see the stadium, the excitement of the race and all the fanfare is what most people look for when they buy tickets. There's plenty of that too! Atlanta bears the reputation as one of the best places for races. In fact, few would debate that the race in 1990 may be the best in Supercross history. 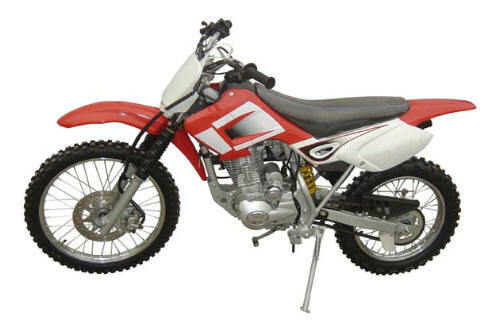 However, every year you'll find peak excitement under the Georgia Dome when you attend the Atlanta Supercross races with all the top names racing to become number one in the nation and king (or queen) of the Atlanta track. The annual Monster Energy AMA Supercross has thousands of fans cheering each year, as the best of the best make Supercross history and often settle feuds on the racetrack as well as provide fans with breathtaking events to satisfy the hunger for excitement from any Supercross adrenalin junkie. The sheer size of the dome and the attendance make the excitement even more as fans hearts pound in unison while the racers do whatever it takes to win the title. You'll find Atlanta Supercross racing is by far some of the best in the nation. Follow the Excitement at Atlanta Supercross. An exciting race at the Atlanta supercross within the Georgia Dome occurred in February 2011. Chad Reed, Ryan Villopoto and James Stewart were very close in the Monster Energy Supercross race. Reed's aggressive move on lap 20 tangled Stewart and Reed. Villopoto and Ryan Dungey pulled ahead for first and second, with Reed third and Stewart fourth. Will 2012 be the year the five-year feud is set aside for Stewart and Reed? Either way, it will be exciting to follow. Riding a Yamaha, Bob Hannah won Atlanta's first Supercross class race, held at Fulton County Stadium, on March 5, 1977. 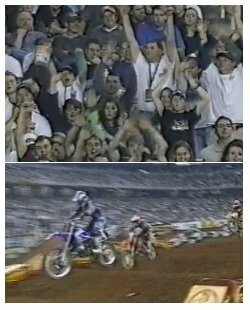 The Georgia Dome acquired Atlanta supercross in 1993, with Damon Bradshaw the first winner of its Supercross race. With more history under its belt, the Dome has familiar names that have won both classes on its track aside from Bradshaw. Chad Reed, and Ricky Carmichael, as well as Ryan Dungey and James Stewart each hold that honor. The Eastern Regional Supercross Lites class draws riders like Dean Wilson, Justin Barcia and Blake Baggett. Fans with a ticket and a Monster Energy can to recycle at the stadium pit entrance - got into the pits free last year on certain dates. News of James "Bubba" Stewart state he signed a multi-year contract with Joe Gibbs Racing's MX division (JGRMX), whose Yamaha agreement now goes through 2014. Stewart started his pro career winning the Lites AMA Motocross Championship and moved up to the premier class for the season of 2005. His debut with the Toyota/Yamaha/JGRMX Team will be on January 7, 2012 at Angel Stadium in Anaheim. AMA's opening round for the 2012 Supercross Championship should maintain its usual standard of excitement, crowds will be thrilled by the action and surprises as the season kicks off with a roar - before it reaches fever pitch at the Atlanta supercross event. You'll know when an Atlanta race is about to begin as the supercross girls give a countdown on their 30 sec bill boards. Most SX events will have big screens too, so you won’t miss any of the action. The Atlanta supercross is sometimes a pivotal time in the ama supercross racers calendar. You have to go to see the fast dirt bikes, and SuperX race action if you live near by. This is almost guaranteed, as it’s a critical one to win. There is the atmosphere, the cheering crowds and all the super dirt bike stuff to buy. With such noise and celebration of thousands of voices, you might find it overwhelming. The Georgia Dome in Atlanta GA is a massive stadium which doesn’t disappoint, the building is ideal for watching all dirt bike powersports. You'll see sponsors like Yamaha and THQ, plus all the glamorous babes, like the 30second board females. Camera’s and video recorders are a brilliant addition if you can get close to the front that is. Supercross riders - make it. As well as some of the best SX action in an electric atmosphere; it’s a good idea to be well prepared before you attend. Tickets can be bought from the AMA homepage, or other reputable supercross websites - and remember to ask for the family section for an "alcohol free" day out. But if you are older, enjoy the day and have some refreshments and some heart warming food. The spectacular lighting and commentary is second to none during the Atlanta supercross heat. The dirt bikes and professionals that ride them, give full value and when you see the price of the tickets you'll know its time to get down to the Georgia Dome and take in the spectacle of this beautiful american dirt bike sport. Be sure to buy your SX tickets early whenever the supercross stops in Atlanta, because it’s a popular one – and you don’t want to get left behind. Where ever you are in the USA, a supercross event will be on - in the not too distant future. Either at your local stadium or at an Atlanta spectacular, the sport is enjoyable and captures the imagination. Be sure and check out what’s happening near you or you’ll be missing the thrills of SX.